Howdy friends! 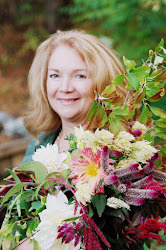 Happy Farmgirl Friday and welcome back to the Farmgirl Friday Blog Hop! My backyard flower farm has gone bloom'in mad over the last couple of weeks! Yesterday I had a chunk of time to spend cutting and playing with my flowers. The end result was magical! It took me a couple of hours to create EIGHT unique bouquets using vintage pitchers, pots and vases from my collection. Read all about it in this weeks Beach Farmgirl Blog! That's not all that's producing. I'm up to my eyeballs in tomatoes so I'll be searching through your entries for a how to on blanching them to save for later! I'm good with flowers. We'll see about tomatoes! Now it's your turn to link up and share some of that good old fashioned farmgirl soul-food. Are you harvesting, cookin' cannin' and cleanin' in preparation for the change of seasons? Tell us all about it! Be sure to stop by Big Sky Acres to catch up with "my farmgirl in crime" co-hostess, Debbie too! ( aka Farmgirl Unleashed)! She's back from baby sitting her new grandson and she's gone GA GA over him. He's a cutie-pie. It's time to link up for your weekly fixin' of farmgirl soul-food! Tis' the season of plenty and there is so much to celebrate! Share the bounty here! Crafting, cooking, canning, chickens, gardening, farming, and just plain farmgirln' around! As always, we thank you for your participation in the Farmgirl Friday Blog Hop! One of the things I love most about growing cut flowers is experimenting with different arrangements using what's in season from all areas of my garden. The more I play with my house flowers the more I realize the possibilities are endless! Today I'm sharing two different flower arrangements, both very different but abundant with the seasons offerings from our backyard gardens. This side features the deep reds and hot pinks of some of my smaller dahlias. This vintage tarnished water pitcher is spilling over with fresh dahlias, sedum, sunflowers, red wine vinegar basil, hydrangea and feathery plumes from the ornamental grasses in my largest perennial bed. While this side is brimming with some of my larger dahlia varieties. along with some of my deep red sunflowers and faded hydrangea blooms. as well as a few sunflowers and zinnias! TIP: When making your own flower arrangements, forget about what you think it should look like and just play! Try adding fresh herbs as fillers in your arrangement's. They add an element of surprise and a delicious aroma to your bouquets. 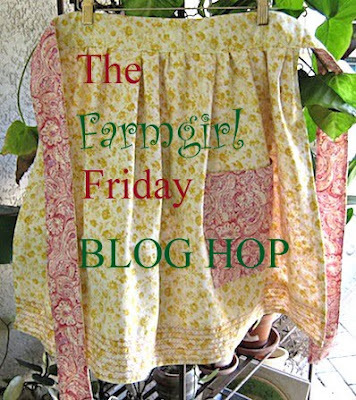 Welcome back to the Farmgirl Friday Blog Hop! How the heck are ya? Aside from my unexpected mini-vacation due to a computer malfunction all is well here on our little homestead. It's been a funny summer weather wise. It never really got tooooooo hot... which is fine with me since my thermostat runs hot ever since I joined the " top of the hill " club a couple of years back. The cooler weather has its perks! We didn't have to run the ac all summer long and best of all, my flowers and veggies haven't keeled over from heat exhaustion either! They are perky as ever. Along with the flowers we are harvesting loads of tomatoes, cucumbers, eggplant, and the edemame is just about ready for picking too. I can feel ( and smell ) fall in the air, can you? I'm in no rush for cold weather, but I am a huge fan of fall... except for the leaves, and the constant raking, and the leaves, and the leaves, and the leaves... Did I mention the leaves? What's happening in your farmgirl world? Are you harvesting, cookin' cannin' and cleanin' in preparation for the change of seasons? Tell us all about it! Be sure to stop by Big Sky Acres to catch up with "my farmgirl in crime" co-hostess, Debbie too! ( aka Farmgirl Unleashed)! She's on baby watch this week! Time to link up for your weekly fixin' of farmgirl soul-food! 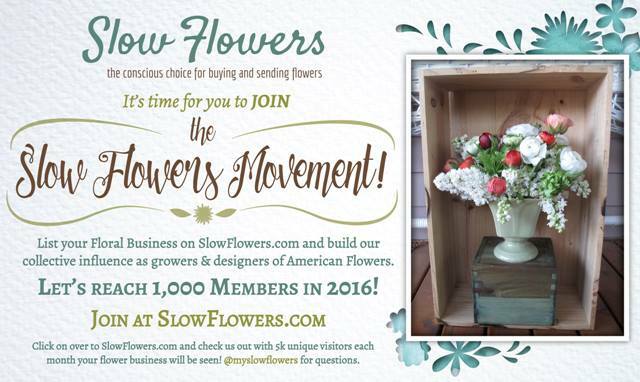 Slow Flower Bouquets~ Three Ways! Besides picking ripe, juicy tomatoes right off the vine, nothing is more rewarding than cutting your own fresh flowers from the garden and placing them in a favorite vase for home decoration or to give to a friend or family member. Today, I'm sharing three ways to create simple bouquets using mostly dahlias in different colorways. The arrangement and color story in the top photo was inspired by the beautiful bubblegum pink art deco vase which was a recent gift from my mother in law. I've seen it filled with blooms from her yard over the years, displayed next to her kitchen sink where it sat until recently when she gave it to me. This year I chose several deep red, burgundy and purple dahlias as well as some lighter softer shades of pink for the garden. I think they look smashing in my new/old pink vase don't you? They go perfectly in our guest room which is decorated in soft, grammy- like colors. Next up is a bouquet bursting with the energy of bold, bright hues of a few dahlias and some brightly colored zinnias placed in the ever popular mason jar vase. I promise you, these are the actual colors! Heirloom varieties bloom longer and brighter than other seeds because they are truest to the original plant. This arrangement will sit on my dining room table where it will compliment the other colors in the room. And sometimes one gigantic bloom in a sweet little vintage vase is all you need to bring some simple beauty and elegance to a small corner of your home. Think bathroom vanity, entry way tables, or nightstands. I love to cut fresh zinnias for our daughters room and sometimes she even cuts her own and makes arrangements for herself which I love! This large white dinner plate dahlia placed in a little clear hobnail vase is earmarked for my desk in our bedroom... Simple and romantic! 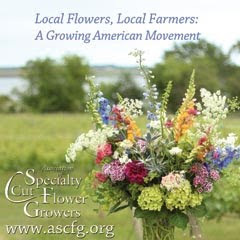 I hope you're inspired to grow a patch of your own " slow flowers" and create some of your own home-grown bouquets to beautify your home and share with friends and loved ones! Any old vase will do, just let the flowers do the talking and you'll be amazed what you can whip up! Welcome back to the Farmgirl Friday Blog Hop! We missed you! Since we last hopped, the flower gardens have really started popping here at Dandelion House! It always amazes me how fast flowers grow and bloom in such a short time span. Here's what's bloomin' this week! These are for you! Enjoy the abundance of the season! Be sure to stop by Big Sky Acres to see "my farmgirl in crime" co-hostess, Debbie too! ( aka Farmgirl Unleashed) . I hear she's been cooking up some delicious homegrown tomato and mozzarella cheese sandwiches! YUM! What's bloomin' at your place? 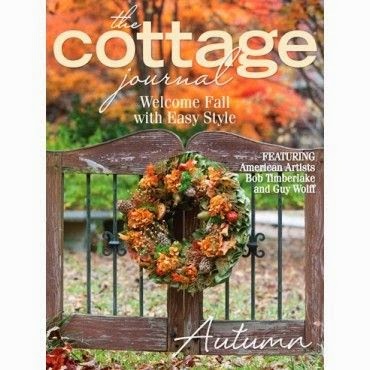 DH Garden FEATURED in The Cottage Journal Magazine! I feel like it's been forever since we've visited! I hope your summer is going well. Our family took some much needed time away from the buzz of blogging and social media to recharge and refresh by the sea in our tiny off-grid beach cottage. We've been very lazy, soaking up the sun, ( and some rain too ) reading, walking, eating, connecting with our summer friends and enjoying some quality time with our teens. I hope you've had a chance to enjoy some " down" time too! It's so important to give in to the long slow days of summer and let ourselves " just be" once in a while. Along with the anticipation of our vacation we were also excited about our " first ever" Dandelion House magazine article. We had the great honor of having our garden featured in the beautiful pages of The Cottage Journal magazine this month and I can't tell you how exciting it was to see the little red hen house and our treasured flower gardens inside along with so many other wonderful features. Katie Wood did a fabulous job with the article ( which she titled, " Put Down Some Roots and Bloom ") and they even used our photos which was extra exciting! We had fun sharing it with all of our friends at the beach and I couldn't wait to get home and share the excitement with you too! If you've got some down time comin' your way, and you haven't discovered this lovely magazine, let me tell you every article is a feast for the soul! Pick up a copy and steel away to your favorite escape ( even if it's just the bathroom with the door locked) and enjoy!